Conservationists at the Wildlife Conservation Society, were able to create a means of measuring stress in coral reefs. This coral “stress test” allows scientists to identify reef areas that are more likely to survive the ongoing ecological changes which impact their health. 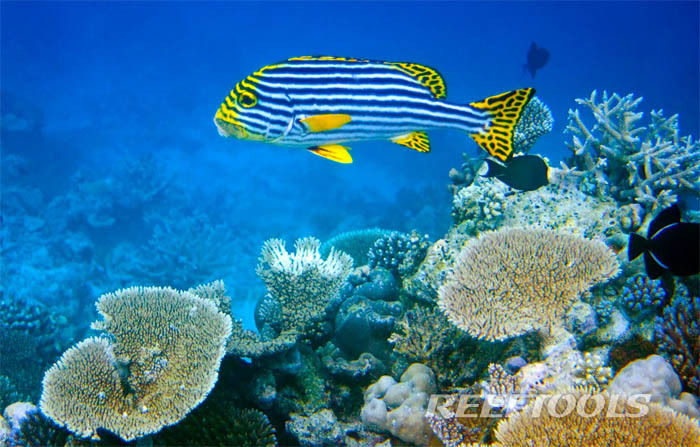 We often write about both ecological changes and human impact on the world’s reefs (low oxygen levels, global warming, and damage caused by fishing boats, etc). A study conducted by Tim R. McClanahan, Joseph M. Maina, and Nyawira A. Muthiga of the Wildlife Conservation Society appeared in online edition of Global Change Biology. The model used by these researchers combined historical data, satellite imagery along with field observations to compose a map showing the overall health of the reefs in the Western Indian Ocean. The map showed both the status of the reefs, as well as of coral communities, coral diversity and susceptibility to bleaching. Again, since scientists are able to compare and prioritize various areas in the ocean, they are better able to provide suggestions for action. Areas that are identified as lower risk, will demand immediate reduced human impact and stresses, while ones looked as “higher risk” will require that other strategies be implemented.